Not the pair insurance pays for! Only the best vision care. Everything you need for your eyes in one place. Professional eye exams by our Dr. Michelle Ford. The most stylish frames you will find in our area at the best prices too! Expert fitting for your glasses by our lead optician Tom Barracato. We serve patients from less than one year of age on up! 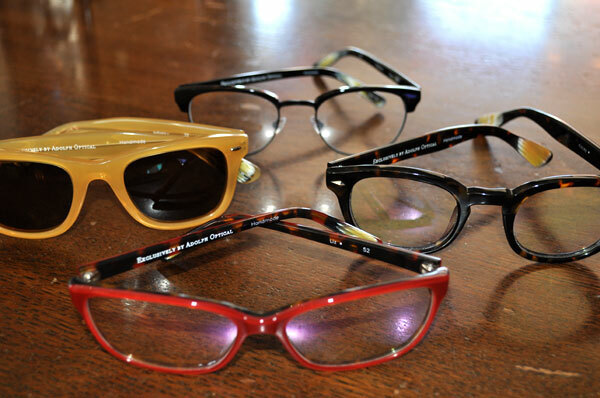 Call or stop in to see the new, exclusive frames available ONLY at Adolph Optical! What's New at Adolph Optical? Our exclusive line of Made In The USA eyewear available ONLY at Adolph Optical! We are also licensed by the State Board of Opticians for your protection. Adolph Optical is a proud member of the Opticians Association of America. Tom Barracato is the most recent past president of the OAA! She performs all of our exams & testing. We carry all the best in designer frames and the Adolph Optical exclusive line of frames as well as our new Made in America Frames! Bring your glasses in and let our skilled opticians fix what no one else can repair! Fast service at reasonable prices! Family Owned and Operated by 2nd generation eye care professionals in the Highland Square area of Akron.